Ever fancied a casual trip to space? Imagine the hybrid of a rocket and a sleek airplane, blasting off and taking you all the way up to outer space. China might be offering just that in a few years. 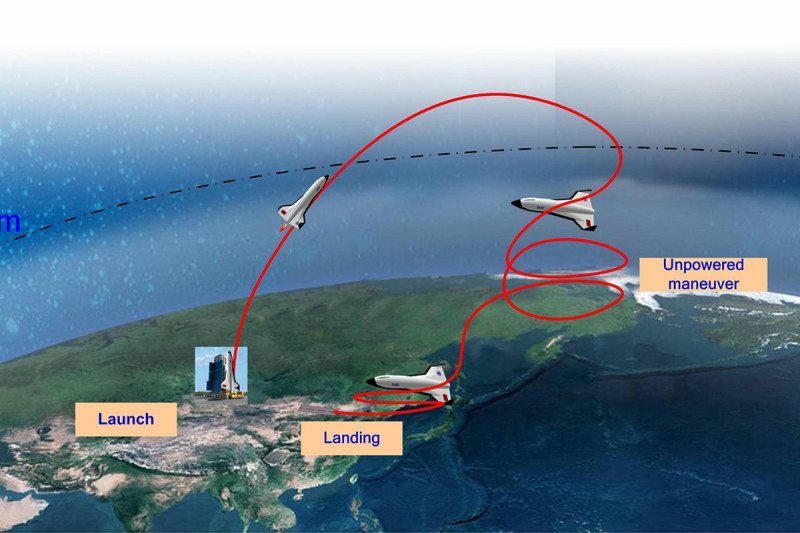 The China Academy of Launch Vehicle Technology just revealed their intent to create the biggest spaceplane in the world at the International Astronautical Congress (IAC) in Guadalajara, Mexico, according to New Scientist. The Beijing-based institution already has a novel one-piece design in development, and hopes to begin space launches by 2020. Two prototypes are currently in the works. One weighs 10 tonnes (22,046 pounds), with a wingspan of six meters (20 feet), and could accommodate five passengers. The other weighs ten times as much, with twice the wingspan, which the Chinese claim could carry 20 passengers. The spaceplanes are also designed for repeated use, clocking in as many as 50 flights per usable lifespan. Some have expressed doubt as to whether the design is feasible. Numbering among the skeptics is the Smithsonian Institution’s National Air and Space Museum spaceflight expert Roger Launius. “The most unusual part is the belief that they can send up to 20 people to 100 kilometres and more on a rocket without a mother ship and no staging, reusing it some 50 times,” he says. The Chinese team, on the other hand, is confident that increasing demand for space flights will drive their progress. In the paper presented at the IAC, the team noted “[m]ore and more common persons are interested in the experience of space flight.” It might not be for everyone, though, as Han predicts that a ride will cost between $200,000 to $250,000.